Now available in the UK and Singapore. 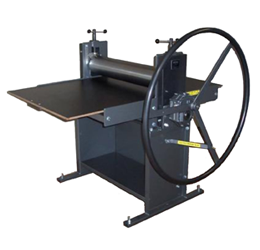 Enjay Etching Presses have been designed and made in Australia for more than 50 years. 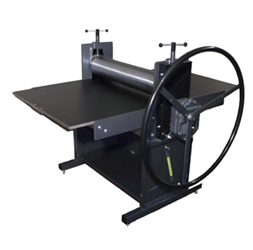 Visit the Enjay Etching Presses UK website. 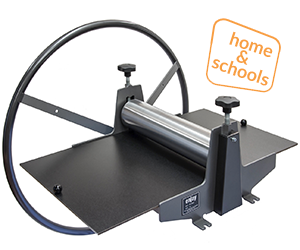 Designed and built by professional mechanical designer Neil Jeffery, hundreds of these etching presses have been supplied to schools, colleges and printmakers’ studios throughout Australia. 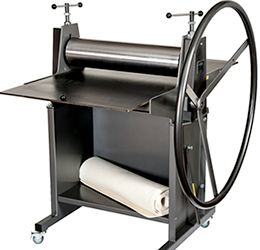 If you would like an unbiased report about enjay etching presses, the professional printmakers listed below on this page can refer you to a selection of our clients. As pictured, with integrated steel cabinet and locking soft tyred castors [felts excluded]. ~ Organising print exhibitions and events. As a professional artist/printmaker I conduct workshops at high school studios for teachers and students. I have tutored at the National Art School, Warringah Printmakers and workshops in Australia and Spain. I particularly enjoy tutoring HSC students, helping to achieve the highest standards for final body of work. Following many years as a commercial printer, I changed to a much more rewarding career as an artist printmaker and technician at the University of Tasmania. Now I regularly run classes for individual printmakers and community groups in my Moving Creature printmaking studio in Hobart and as far away as Fitzroy Crossing. Disclaimer: While we endeavour to keep information about our products up to date, we can not guarantee the accuracy of all the information on our website, and recommend you contact us directly to confirm prices and details.